"I found Solar and Wind very easy to deal with and despite the tight timescale and frosty weather, they pulled out all the stops to get the PV system live and registered before the FIT rate reduction. I have recommended them to others interested in Solar Power." Keen to invest in renewable energy to clean up their energy use, our customers approached us to take on a proposed ground mounted solar PV system around 10kW in size. From an engineering background, our customer was able to work with us to ensure he was entirely happy with the system, ensuring it would work both technically and financially as a long term investment. The ground mounted system posed some technical challenges both with civils works and relating the the electrical connection. Solar and Wind Applications were able to work with the customer and industry contacts to ensure the best solution was achieved. On discussion with the customer, it was clear that the technical design stage of the project was critical. Being aware of both module and inverter technologies available, our customer respected our experience and knowledge of what is available in order to choose what would work best for him. Ultimately, the system above was chosen as the best option for the customer. 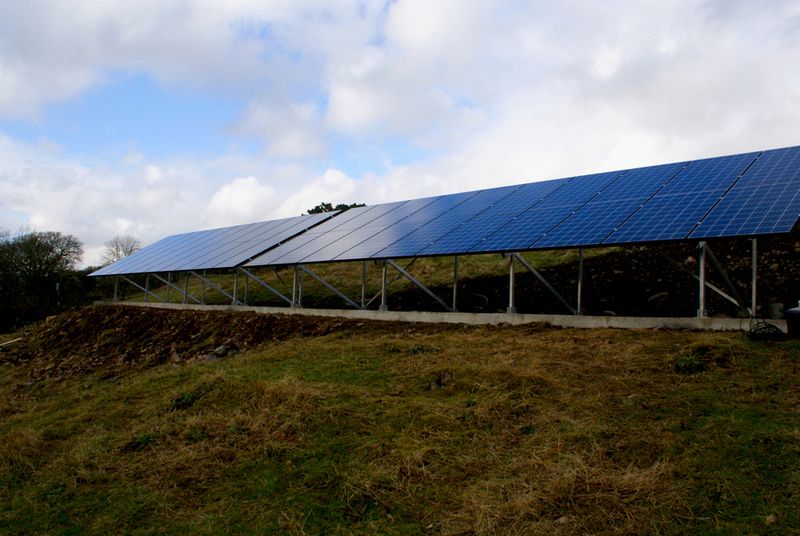 At this stage, Solar and Wind Applications made all the required applications for grid connection, and advised on planning permission. 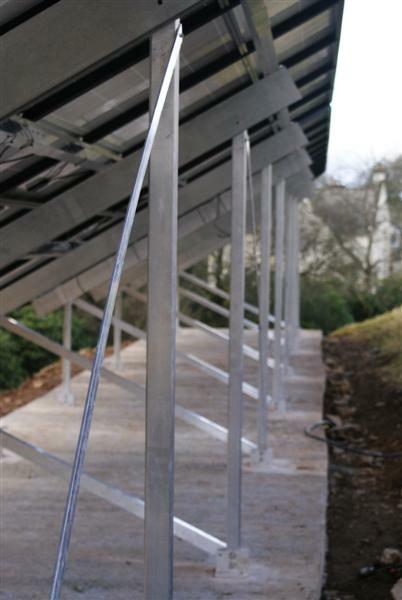 Installation work was carried out over 1 week, with the module frame and module installation taking 4 days. 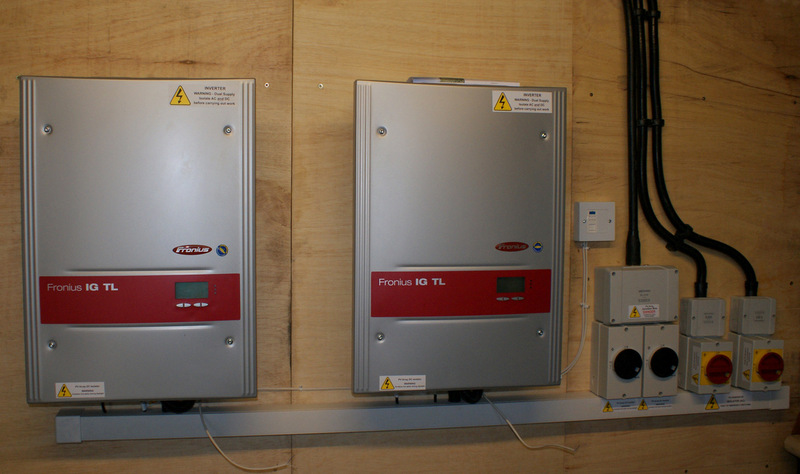 The complex wiring for this system took 4 days, and was completed to the customer’s requirements – inverters located externally to the home to keep them cool and out of the living space. Our customer took on the civils works, with our design assistance, allowing the project to progress more quickly. This cost was also discounted from the system cost so that the best value was achieved by the customer. Having a solar PV system of this size means that a great deal of the site’s electricity consumption on site is taken from the installed systems, drastically reducing the power import and thus reducing bills. The longer term benefits of this are protection from ever increasing electricity prices, and ongoing index linked income from the Feed in Tariff.